Jonathan Crowe is Professor of Law at Bond University. His research examines the philosophical relationship between law and ethics, looking at issues such as the nature and foundations of legal obligation and the role of ethics in legal reasoning. He has published widely on natural law theory and existentialist ethics, particularly the work of Emmanuel Levinas. He has also published research on ethical and doctrinal issues in a range of fields of law, including constitutional law, international humanitarian law, criminal law, family law, corporations law, competition law and dispute resolution. Jonathan is author or editor of several books and more than eighty book chapters and journal articles. His work has appeared in leading international and Australian journals, including the Modern Law Review, the Oxford Journal of Legal Studies, Law and Critique, the Melbourne University Law Review, the Sydney Law Review, the Federal Law Review and the Australian Journal of Legal Philosophy. His books include Legal Theory (Thomson Reuters, 3rd ed, 2019), Principles of International Humanitarian Law (Edward Elgar, 2013) and Australian Constitutional Law: Foundations and Theory (Oxford University Press, 3rd ed, 2012). His latest book, entitled Natural Law and the Nature of Law, will be published by Cambridge University Press in 2019. 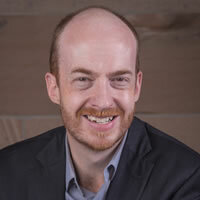 Jonathan is an Honorary Life Member of the Australasian Society of Legal Philosophy, having served as its President from 2014 to 2018. He is also a former President of the Australian Dispute Resolution Research Network. He blogs on Australian legal theory events and publications at http://legaltheoryaust.wordpress.com and tweets at @drjoncrowe. A selection of his publications can be accessed online at https://bond.academia.edu/JonathanCrowe.